The Frame of Mind project was commissioned to bring greater visibility to Rogerson Communities. Always on the cutting edge, Rogerson leads the “aging in community” movement through its innovative housing and healthcare services. Known as the region’s premiere non-profit developer and manager of affordable housing for low-income elders throughout Greater Boston’s diverse neighborhoods, Rogerson serves more than 1,700 families through its housing, Adult Day Health and fitness programs. Founded in 1860, the organization has built a multi-dimensional network of supportive services, all fostering dignity, longevity, and the vitality of aging. Frame of Mind embraces the joie de vivre, style and wisdom of a diverse group of nine Boston women, ranging in age from 62-86 – fashion icons, trailblazers, thought leaders, entrepreneurs and innovators who have refined their style over time. The project includes photos of the women and includes their mantras, the wisdom they impart to the next generation. Co-creators Barbara Quiroga and Olivia Ives-Flores chose women who exude confidence and inspire individuality with grace, gumption and panache. Seven Boston area photographers were commissioned to create a unique profile of each woman. “Rogerson is excited to explore a new “frame of mind” towards growing older by showcasing dynamic women who are revving up, not slowing down as they reach their sixties and beyond,” stated Quiroga, consultant to Rogerson. 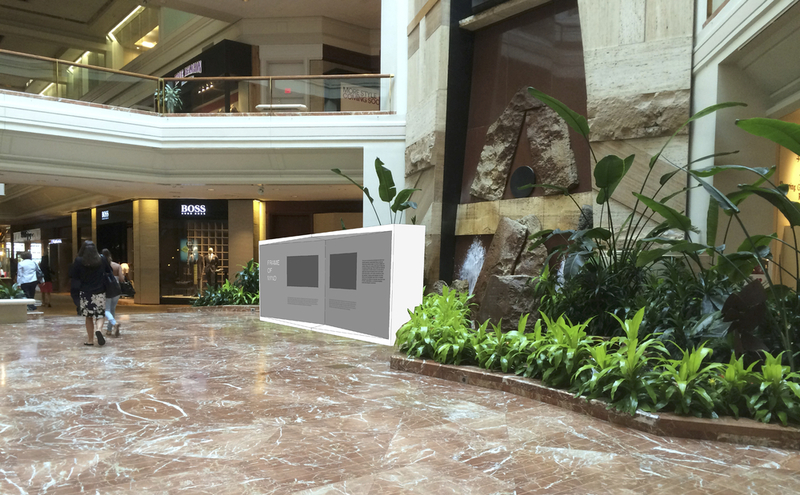 Frame of Mind is a movable exhibit that has been displayed in Copley Place Boston and The Shops at Chestnut Hill. When installed in a public space, photographs and quotes from the women are projected in a multi-channel video format on two monitors. Frame of Mind is proud to collaborate with DARKROOM, a non-profit platform whose mission is to make photography more accessible and affordable. Working with emerging as well as established artists, Darkroom’s unique aesthetic is in how they choose to showcase an exhibit, either through unconventional forms at alternative spaces, or by combining photography with other artistic expressions. Consideration is given to the way people will experience the exhibition and in most cases, the theme for these exhibitions is connected to educational programs that will raise awareness on selected issues. Through a partnership with other institutions and organizations, Darkroom works toward making a social impact within the community by using a portion of the proceeds to benefit philanthropic projects and support locally owned businesses. Display design by Elliott Olson and A. David Guerra. Elliott Olson graduated with a degree in Fine Arts and Architecture from the Rhode Island School of Design. He is a project manager at Hickox Williams Architects where he focuses on residential design. His passion for innovation in the arts has led him to collaborate on a variety of projects and exhibitions in New England. A. David Guerra is a lawyer, photographer and independent curator based in Boston. He is the founder of Darkroom, a platform to display photography using unconventional forms at alternative spaces and combining photography with other artistic expressions.